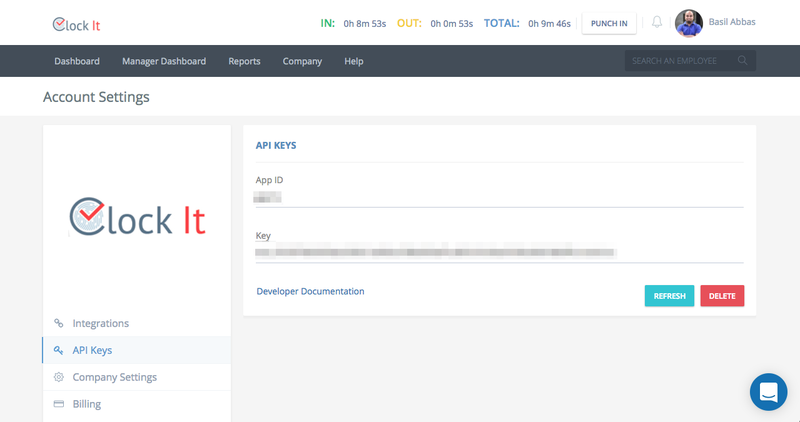 Find out more about our APIs and how to generate keys. 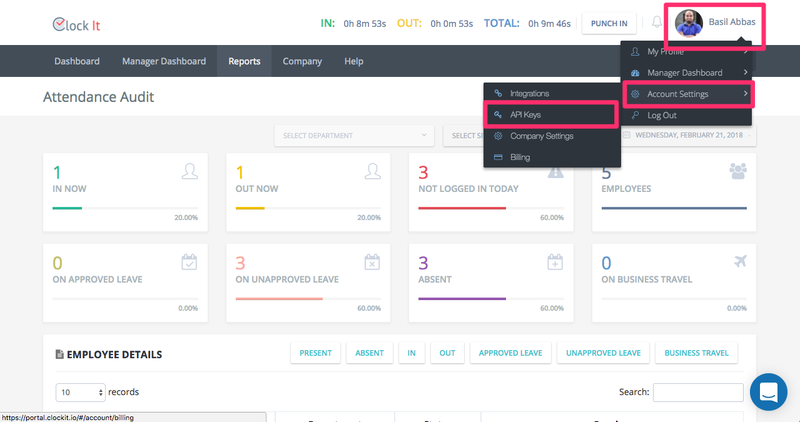 ClockIt supports API access to integrate data with your own custom dashboards and tools. NOTE: API access is available with customers that are subscribed to the MILLI plan and above. To know more about our pricing visit. Click on REFRESH to generate your keys or DELETE to delete your keys. You can now use the API's to consume your data. Visit our developer documentation for more information.